Beer—it makes the world a better place and, lucky for us hop lovers, Auckland’s craft beer scene is absolutely booming! Bars, free houses and breweries stocking some of the best international and New Zealand-made beers are popping up on the reg and it’s got us frothing with excitement! Gone are the days of cracking open a can of Double Brown. These days it’s all about wrapping your taste buds around the latest hoppy, malty, carbonated creation. And, if you thought craft beer was just for the bun wearing, beard growing hipsters, you were wrong. More and more people are jumping on this bandwagon and getting educated in all things beer. Whether you’re a lager lover, an ale advocate or an IPA enthusiast, you better believe there’s a brew out there for you. And, if you’re not the biggest fan of beer at all, then maybe you should try a sour beer, you might be pleasantly surprised. But whatever it is that floats ya boat, you’ll be sure to find it in one of these spots. 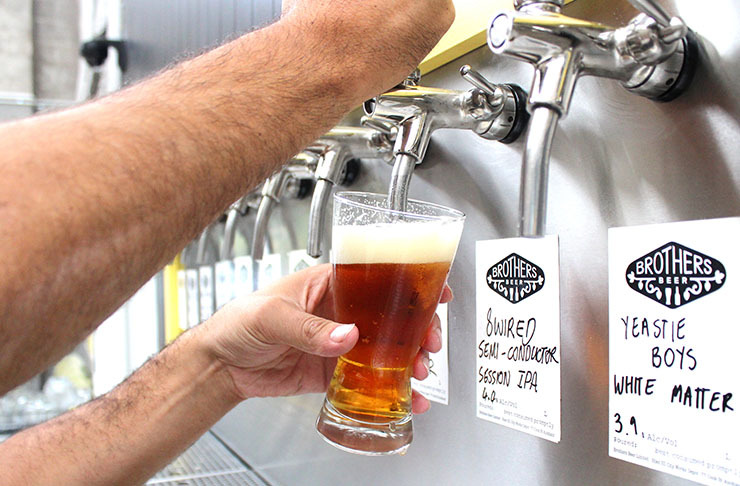 So read on to find out our top picks for the best craft beer bars in Auckland! Hallertau Brewery has been on the up and up after starting out 12 years ago. A front runner in the craft beer scene, Hallertau’s founding 1, 2, 3 and 4 beers have been their staple brews with the more recent adding of numbers 5 and 6. But the beer does not stop there! They’ve also got their “Heroic range” which includes the Maximus beer, a much loved IPA among the locals. Then there’s the sour beer range—which, for all you non-beer lovers, might just surprise you. If you can get your hands on the Funkonnay beer, we highly recommend you give it a whirl. Finally, they’ve got their seasonal range which are styles of beer made to compliment the changing seasons—think light and crisp for summer and dark and complex for winter. So how’s now for a Hallertau? Humming away on Vulcan Lane, this craft beer bar is serious about brews. 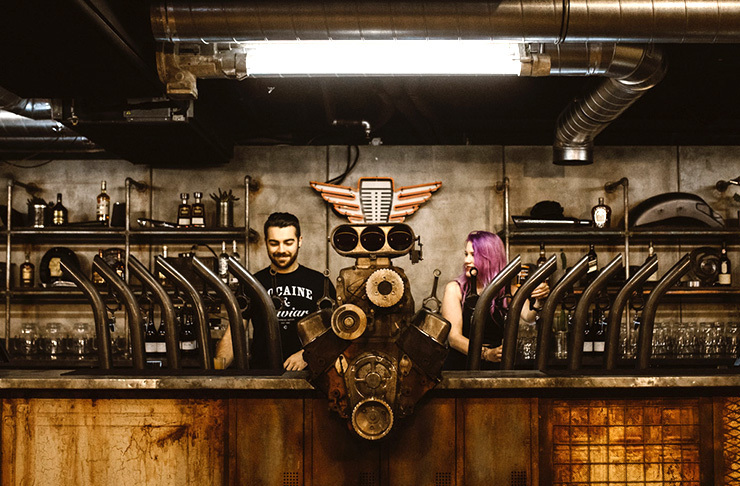 With a cool English pub vibe and a team of bar staff ready to share their crafty knowledge, the Vulture’s Lane crew have 22 rotating taps and more than 75 bottles chilling out in the fridge. Its popularity with this city's beer-loving punters make it one of the best craft beer bars in Auckland. Clueless about craft? 16 Tun can help with that. This North Wharf bar has room for up to 120 different craft beers, hand-picked from the best breweries around the country—Garage Project, Good George, and Croucher, to name a few. Nail beer and food matching 101 in 16 Tun’s beer masterclasses or, if you’re popping in for a post-work bevvy, you may as well order some ‘half tun’ nibbles—paua fritters, sliders, and hot wings are beers' best friends. When the 3pm beer cravings kick in, Brothers Beer is where we want to be. You’ll find these dudes at City Works Depot, or in the recently opened Brothers Juke Joint BBQ in Mt Eden—a spot for meat, beer and lazing about in the sunshine. Their City Works Depot lounge has 18 rotating taps and a whopping 200 bottles of beer, many of which are lined up on a DIY beer wall. Order a tasting paddle, and they’ll walk you through what your tastebuds are in for. The Lumsden is a ‘free house’—free from the shackles of big breweries. 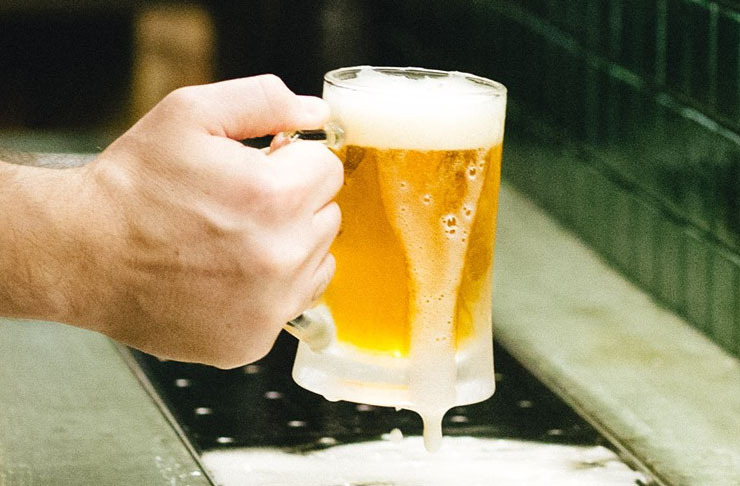 You’ll only find quality, local craft beer being poured from their 15 taps, and with more than 120 canned and bottled brews, even the most loyal of 24 box drinkers will find something to get hooked on. Three friends, affectionately dubbed the ‘brew boys’, are behind the awesome craft brew bar, Brew On Quay. They’ve drunk their way around the globe, sourcing the best craft beers the world has to offer—all of which you can try at their inner city bar. 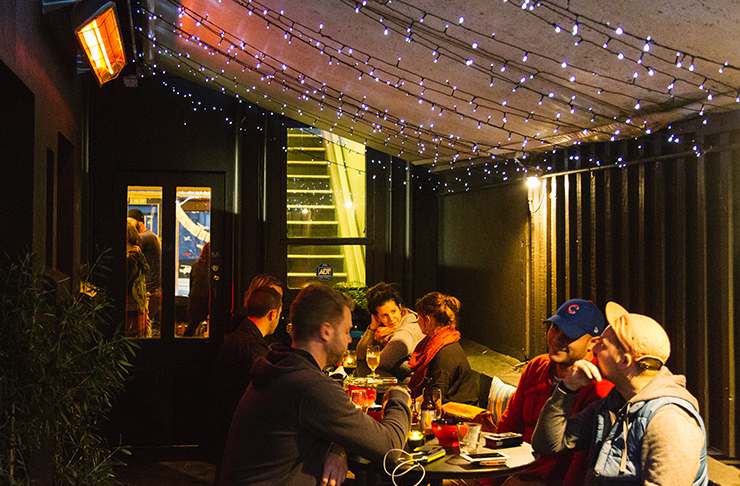 Brew On Quay has a sweet rooftop bar, an excellent selection of grazing platters, and is a short wander to the bus station, in case you have a few too many. A wee way from Auckland CBD is the ultimate roadie pit stop, Leigh Sawmill. Their onsite microbrewery makes a damn fine pilsner, packed with fruity flavours, and the crystal wheat lager will be a welcome refreshment once summer rolls around. Leigh Sawmill often plays host to great Kiwi bands, and there’s accommodation if things get cray. This iconic Mt Eden pub has an epic beer garden, hearty nosh and a great selection of craft beer. Galbraith’s makes their own brews as well as stocking an impressive number of bottled brews. We’ll take a pie and a pale ale, thanks. Housed in a small, feels-like-home space off New North Road and pouring a brilliant range of craft beer, Flight 605 is the place to go for a few weekday casuals. Their beer list is updated on the reg, and the team are more than happy to make suggestions. Oh, and we’ve said it before but we’ll say it again—Flight 605 have free popcorn. Sold. New kid on the block, Uptown Freehouse is making Auckland’s Uptown district the perfect place to start a beer tour off. Sister bar to The Lumsden and next door neighbour of another craft beer bar great— Galbraiths. This little spot has 12 ever changing taps for the best of the best NZ brewed craft beer as well as a fully stocked fridge if you’re after a can or a bottle. But one thing that sets this bar aside from the rest is CHEESE! Yep— you hear right! These guys offer up cheese in all its gooey goodness. We’re talkin’ grilled cheese sandwiches, Mozzerella Sticks, Beer Cheese Soup and even everyone’s 70’s party favourite… Cheese Fondue! We’re sold. Brewers Co-operative couldn’t get any more Kiwi. Pairing the classic fush’n’chups with some seriously delicious brews. This eatery stocks tried and true labels they know beer enthusiasts will love. Liberty, Epic, Good George and Garage Project, just to name a few. Pair your brew with some good old fashioned Kiwi tucker with dishes such as ginger scallops, salt and pepper squid and of cours,e ya beer battered fish and voilà! 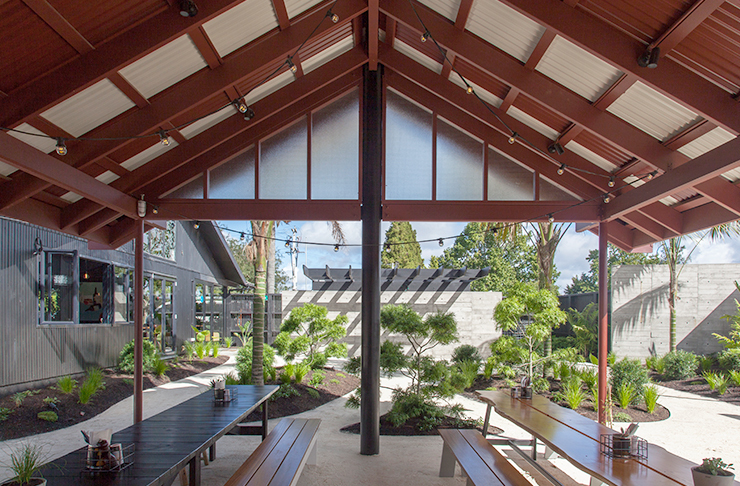 You’ve got the perfect place for a Kiwiana kinda date and a way to tick off another on the list for the best craft beer bars in Auckland. Parked up in the old TSG. The Chamberlain has 14 different tap beers that change faster than you can say beer! With tap takeovers from local breweries and super delicious food on the menu. This is a trendy spot for anything from after work drinks to a hopping good date. These absolute legends from Welly have brought their brews to Auckland with a viaduct pop-up for the summer. 14 taps will be pouring Pan head classics as well as limited-release specials including a Russian Imperial stout and a milk IPA, sweetened from lactose from cows. We’re intrigued! And, with an equally epic American-inspired menu to boot. Even though they're not staying we can def say this is one of the best craft beer bars in Auckland, so don't miss out!